Five Workouts You've NEVER Tried! Just two minutes into your treadmill warmup and, already, you’ve taken five quick glances at the clock. As you stare for the sixth consecutive moment at the elapsed time, you question how much of a difference a few additional minutes of exercise actually makes. From there, you try to justify running for five minutes as opposed to ten. 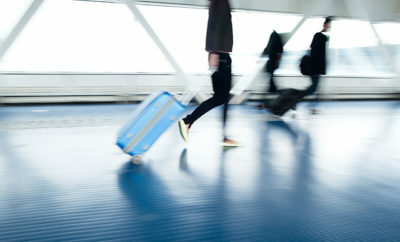 You debate whether or not you deserve this seemingly small break, but time feels as though it’s crawling and, when the electronic digits read five minutes, you cop out. So here’s the problem: you’re bored. Try these five fun workouts to bust boredom while getting your sweat on! With more and more indoor trampoline parks popping up throughout the country, trampolining is a great way to jumpstart your fitness goals. Benefits: Besides the fact that jumping is a super exciting means of increasing cardiovascular endurance over time, recent studies have shown that trampoline fitness increases both leg power and leg strength. Bottom line: Skip the stairmill and try a trampoline fitness class instead. Depending on the intensity, some trampoline workouts can burn up to 1,000 calories in just one hour! Looking to strip away a few extra pounds? Try pole dancing! This sensual workout is becoming increasingly popular among women for both the physical and psychological benefits it offers. Benefits: Pole fitness is a great way to amp up your self confidence as well as boost feelings of empowerment. Pole dancing requires a significant amount of core strength and, consequently, has been shown to increase strength and stamina while promoting fat loss. Bottom line: If you’re tired of performing the same full-body circuit three times per week, try substituting a gym day for a pole fitness class instead. Your entire body will need to work just as hard so expect to blast anywhere from 250 to 700 calories in an hour. Whether you choose to climb indoors or outdoors, rock climbing is a challenging workout that requires a great deal of strength. Benefits: Research has shown that climbing increases muscular strength, muscular endurance, cardiorespiratory fitness, and flexibility. 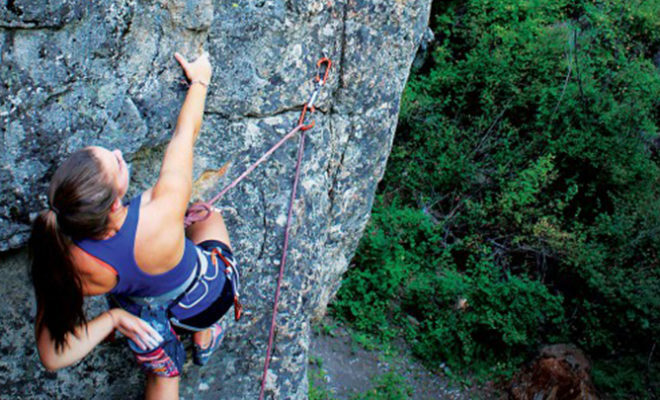 Bottom line: Rock climbing can be a great way to interact with the environment in an outdoor setting or a challenging means of competition in an indoor setting. Climbing movements mimic the movements involved in a pull-up, meaning that if you are trying to master the infamous pull-up but are frustrated with performing the same progressions, you may want to give a climbing session a shot. Plus, climbing at a moderate intensity for one hour can burn over 400 calories. It really doesn’t get much more fun than this! What better way to pass the time in spin class than throwing in some karaoke? Benefits: The benefits of cycling have long been known and taken advantage of by women around the world. Spinning is a low impact exercise offering cardiovascular and muscular endurance benefits. Bottom line: Ditch the bar scene this Friday night and try a karaoke spin class instead. It’s guaranteed to be a blast and can torch upwards of 400 calories per average 45 minute class. Think hula hooping is easy? Think again! Hours can feel like minutes once you’ve got a hooping rhythm going- cardio made easy! Benefits: Hooping boasts huge core benefits, strengthening the entire core, thus better protecting your low back from injury and contributing to improved posture. Improved coordination and balance as well as a stronger aerobic capacity are just some of the many benefits of hooping. Bottom line: Supplement this week’s abdominal workout with thirty minutes of hooping. Try using a weighted hoop for an extra challenge. In addition to strengthening your core, you can burn between 200 to 400 calories from thirty minutes of continuous hooping alone! American College of Sports Medicine. (2013). Just You And The Bike: Five Physical Benefits of Spinning. Retrieved 2 January 2014, from: http://certification.acsm.org/blog/2013/october. Cooper, Lindsey & Haslam, Michelle. (2010). The psychological and physical benefits of pole dance for fitness classes, an increasingly popular yet controversial form of exercise. Psypag Quarterly, 75, 51-52. Mittelstaedt, Robin. (1997). Indoor Climbing Walls: The Sport of the Nineties. Journal of Physical Education, Recreation, & Dance, 68, 26-29. Shenker, Maura. (2013). What are the Fitness Benefits of Hula Hooping? University of Notre Dame. Retrieved 2 January 2014, from: http://wellness.nd.edu/news/. in Physical Education, (unpublished) Texas Technological College.